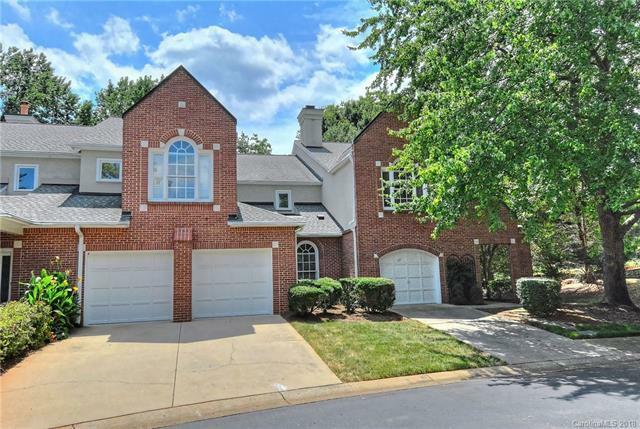 Rare, spacious, private end-unit townhome in Southpark. Perfect for someone who wants the space and natural light of a large home without the maintenance worries. Generous parking. The courtyard is expansive, beautifully landscaped, and pet-friendly with an oversized grassy area, a flagstone patio, irrigation, and landscape uplighting. It is also surrounded by mature trees and a brick wall for privacy. Includes 2 master bedrooms: one on each floor. The first-floor master bedroom includes a fireplace, 2 walk-in closets, 2 vanities, a roomy jacuzzi tub, a large double shower with a seat, and private garage access. The first floor boasts a stunning, 2-story formal great room, beautiful hardwood floors, custom built-ins, 3 fireplaces, and a large laundry room with an adjacent cedar closet. Kitchen renovated in 2012 and includes granite countertops. The second floor contains a media room, a loft/bonus room, multiple guest rooms, a library, a laundry chute, and a kitchenette.